Are your hands full this morning? How can we pray for you? Have you ever tried to hold dry sand? It’s hard, isn’t it? No matter how tightly you squeeze your fingers together some of it seems to run through the cracks. Trying with two hands is not much help. Even more runs through if you try and fill both up together. The only way you can carry sand is to either hold a smaller amount in the cup of one hand, or overlap your hands. Even then, if you try to load them too much, some will spill out. I think most of us try to hold too much. Our lives touch so many others that we begin to feel responsible for all of them. Between family, work, church and other tasks we volunteer to do, we’d need to be an octopus to hold it all together. Either that, or we need to learn to dump it into someone else’s hands and only carry a little at a time. But who can we trust to do as good, if not a better, job? Our loving, all-knowing Lord is before all things. That means He was there before the idea, incident or individual came into existence. He knows exactly what is going on and the best way to handle what seems to be slipping through our fingers. He knows what has happened, what will happen and the best way to make things happen. He knew us before we were a twinkle in anyone’s eye. Christ is the one who holds all things together. If you add water to sand, it sticks together and is easier to carry. Jesus said He is the living water. When we let Him pour out Himself into what we are trying to carry, He acts like water to sand and brings it all together. In Matthew 11:27, Jesus states that everything has been handed over to Him by the Father. Everything was handed to Him, not to us. Yes when you add water to sand it becomes a bit heavier in the process. That is why we must let Christ monitor how much we are carrying at any given time while He bears the rest. Sure, we must take up our cross and carry it, but that doesn’t mean carrying the world on our shoulders. Jesus already did that on the way to Calvary and then held it together on the cross. Christ knows how much we are to handle. We must let Him hold all the rest for us. If we think we have taken on too much, He will lovingly cup His hands under ours to help us hold it all together and carry the load. Dearest Lord, forgive me when I try to take on too much, especially when I tell myself it is Your will that I do so. Let me instead hand it all over to You in faithful prayer each and every day, and then wait patiently for You to return it bit by bit into my tiny, cupped hands. Together, we can carry the load. For that I praise Your name. Amen. Question: How much are you trying to “handle” on your own? It’s so easy to sometimes take on waaaay more than we can bear. We THINK we could handle our situations, our hurt, our pain ALONE. But that’s the thing. We are not alone….I am not alone. We want to do everything in OUR OWN POWER to fix things, when in actuality it just gets worse! I believe in a God that can and will pick up every broken piece of pain, self hatred, neglect, old ,stale, stinky, and long overdue burdens and He will give you rest…peace…love..joy. He will give you a new and improved heart. He will fill you with His love where you would no longer feel like an option but His priority. God loves me. God LOVES you!! This is so mind boggling to me. The God that created everything that we live in, still wants my heart. Little ole me!!! As I look back over my experiences, I’ve realized that I’ve been giving my heart to so many people and in return, I am left with it shattered in my hand. Why? Because I depended so much on people….no matter who it was to fill my void….to fill that emotional pain. The truth is…..It never worked…they too are beautifully flawed. 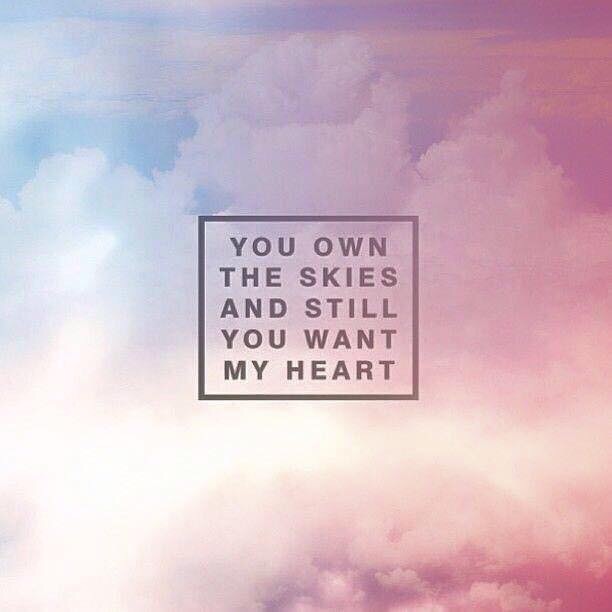 But God…the Perfect One…the One that created the heavens and the earth…will take my heart and will turn it into gold. He will give me beauty for my ashes(Isaiah 61:3) and I am ready to walk in Him again. I am ready to be restored. I am willing and ready to lay down allll of my burdens before God so I can find MY rest. For it is not in my power to bear this all, but Gods power to transform me. The first step is to be willing…and God will take it from there! You no longer need to hold it all together anymore. God sees you where you are and he is coming for you…to give you rest. Wow!! Just WOW!!! So beautifully written! This truly brought tears to my eyes (the entire entry that is). You are a gifted writer and can’t wait to read more about your journey with our Savior and your daily adventures. People need your blogs, including me. I have subscribed and will be waiting on the edge of my seat in anticipation of your next blog. Peace and Blessings. I’m so thankful you were blessed by this! God is up to something big! He has you in mind! ❤️❤️ thanks for the love and support!